On this page, you will find documents that describe the City's watersheds and efforts to reduce flooding, erosion and water pollution both Citywide and in individual council districts. The Citywide Profile provides a brief introduction to Austin’s watersheds and the City’s efforts to reduce the impacts of flooding, erosion and water pollution. This profile also provides a comparison of important metrics across the ten City Council districts, including impervious cover, land use and creek health. 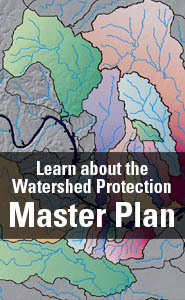 The district profiles summarize the characteristics of the watersheds in each City Council district and provide an overview of flooding, erosion, and water quality problems. They also discuss past, current and upcoming solutions.